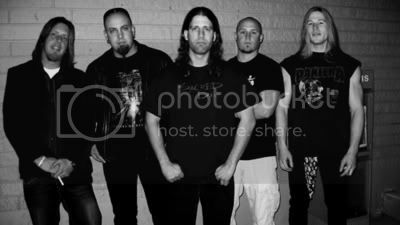 After a three-year hiatus, Salt Lake City, Utah's progressive/power metal veterans Katagory V have launched an Indiegogo campaign for their long-awaited fifth album, Resurrect The Insurgence. Commented bassist/songwriter and founding member Dustin Mitchell: "The rumors of our death have been greatly exaggerated, albeit somewhat true just the same. It has been three years since we finished recording the fifth album. Back in 2011, we shared a few previews of the songs with updates concerning the album's release, and then... nothing. This album was slated to be released in the spring of 2012, but, ever so quietly, Katagory V and the new album just disappeared from existence." "It is a very long story as to why this happened, and we explain how this three-year hiatus came about in the bio of our Indiegogo campaign. What is important now is that we are proactively trying to get this album released before we die of old age (or untreated syphilis!) . As for the future of Katagory V? Well, a lot has changed over the last three years, both within the band and the music industry, and we are taking it one step at a time. The first step is getting this album out. If we can do that…we shall see about taking the next step. So without further delay, we present to you the Resurrect the Album campaign! This album is done - recorded, mixed, and mastered; it just needs to be tagged and bagged. We are finally blowing the dust off of it, and it just needs that extra financial kick to get the minor details of graphics, artwork, pressing, and distribution costs worked out. We have a lot of great perks, including pre-orders of the album, Skype lessons with Kris and Bizzaro, even Albert coming to your house and cooking you chicken parmigian while singing classic Italian love songs…well, maybe not that last one, but we really do have cool perks. So please drop by the campaign, check it out, and help us Resurrect the Album!"